The Nutrients for Life Foundation held The Fertilizer Is At the Root of It Contest to showcase fertilizer and sustainability. The 4R Nutrient Stewardship Program is the cornerstone piece of fertilizer sustainability. 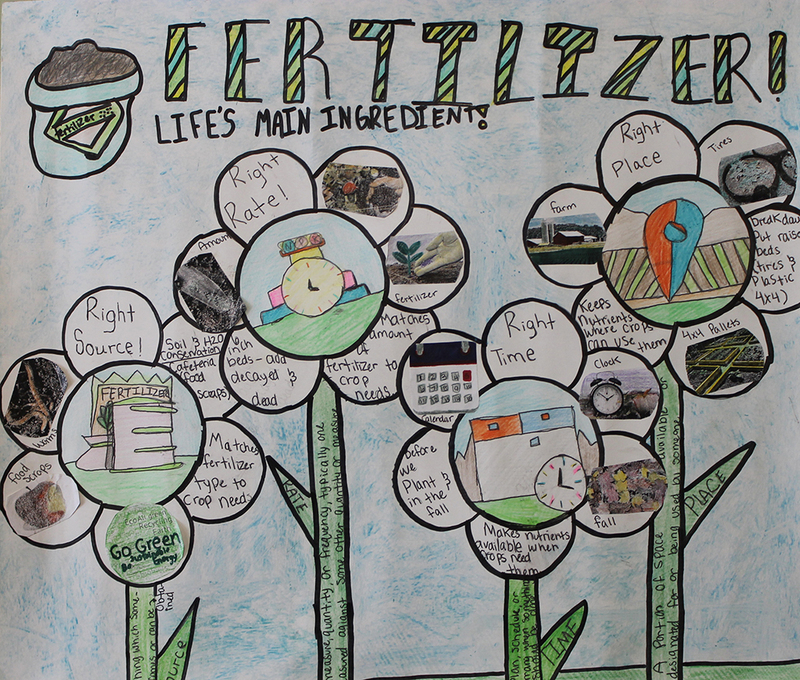 Students submitted posters and videos that depicted when using fertilizer properly farmers can grow enough food to feed the growing population. Entries were judged on Nutrient Stewardship content, creativity, artistry, and design to compete for the $1,000 National prize. The first place video winner was submitted by Kim Clark at Royal Valley High School in Hoyt, Kansas. The video was created by Emily Albright, Alyssa Gooderl, and Holly Mitchell. Watch the winning video now. The first place poster was submitted by Paula Burkhart at Mosley Middle School in Mosley, Missouri. The poster was created by artist Zoe Ridgeway. View the winning poster now. Fertilizer plays an important role in feeding the world. Without proper nutrients, farmers would not be able to produce enough food for everyone to eat. However, fertilizers must be used properly, and this is why 4R Nutrient Stewardship is so important. If the right fertilizer is used at the right rate, the right time and in the right place, then farmers, gardeners, the environment and even plants are happy!